Energetic and youthful as ever, Lord Archer greeted the packed Landmark (along with me, sitting in the second row! ) with a thank you for smashing the Australians in the Test series and at the same time bowing down to England. Lord Archer toeing the line between being succinct and verbose, gave, rather entertained the crowd with interesting anecdotes from his life and during his tours to India. “Unique” an original short story was released to celebrate the release of “Best Kept Secrets”. Unique is a 100 word story – not a word less, not a word more. And Lord Archer elaborated on the hard work that goes into shaping every tale one tells. After touching on a few other topics such as aspiring young authors, piracy, e-books, India and it’s women (Indian women are the most uncontrollable, he says) the floor was open to questions. Lord Archer : Jane Austen is one of the greatest story tellers of all times. She wrote 4 amazing books. One was about a mother trying to marry off four daughters and the book did extremely well. The second was about a mother trying to marry off three daughters and this book received an amazing response as well. The third was about a mother trying to marry off two daughters. The last book, Emma, was about a girl trying to get herself married. When Jane Austen did what she could do best and succeeded, I will also continue doing what I am good at doing. 2. Out of the books that you have authored, which one is the closest to your heart ? 3. You seem to be an excellent orator. Why not take this up, instead of writing novels ? 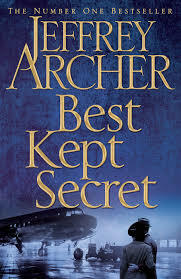 Lord Archer : It is extremely rare to find an author who is a story teller as well. I pride myself on my ability to ‘tell’ stories and I am thankful to have been blessed with oratory skills as well. But, I shall continue doing both to my best. 4. Would you write a book on India soon ? Lord Archer : I have a love affair with this country. Everything from the people to the sounds to the atmosphere is addictive. But, frankly, I am scared to write a novel on India. There is so much to it, that I cannot capture everything in a book. Rather, after the Clifton Chronicles, you can expect a set of short stories and one other novel, that I’ve been thinking about for the last 10 years. 5. Why are your e-books priced higher than your hard bound versions ? Humorous and witty, Jeffrey Archer won over the audience and reinforced his talents as a master story teller. Delighted to have been in his presence for over an hour, I happily skipped home, clutching my autographed copy of ‘Best Kept Secret’, eager to devour every word! Humorous and witty …. seriously I raced against time, just to meet this guy…. and yess one best thing about his writing style is that you end up wanting for more whenever you finish one chapter! True !! And, he has been quoted saying “I come up with the last line of my book first” And, especially in the Clifton Chronicles, the last lines leave you yearning for more ! i missed him at Bangalore where he was there for a his promotion of the book “sins of the father” …i regret i missed a signed copy ..